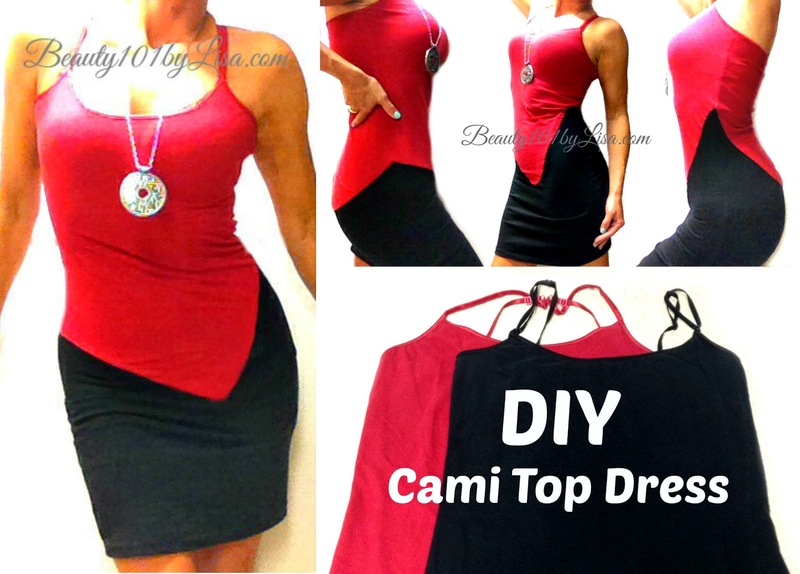 I used Two Cami Tops with contrasting colors. 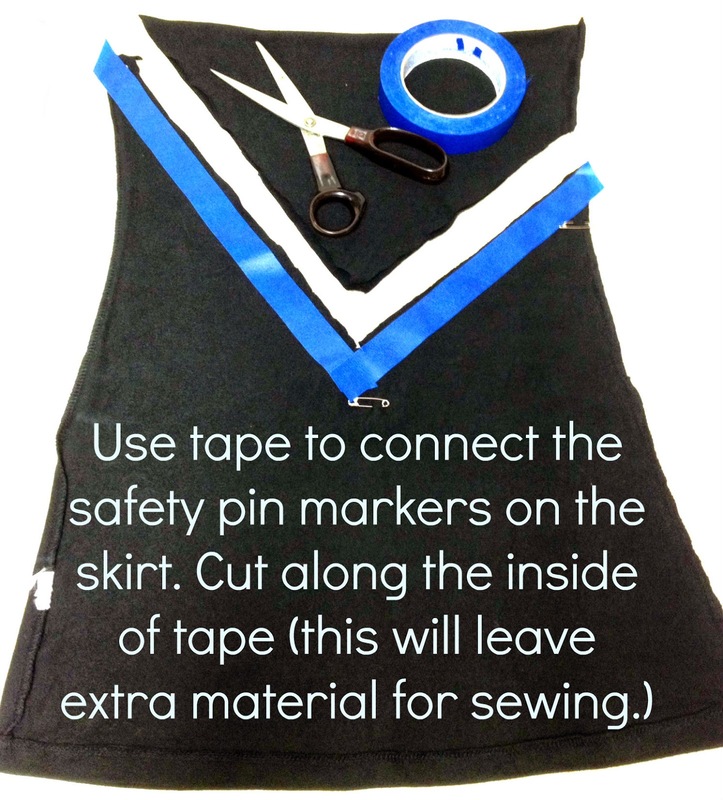 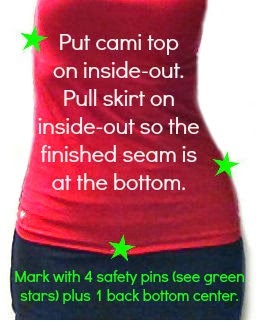 Pull the skirt up as high at it will go (also inside-out.) 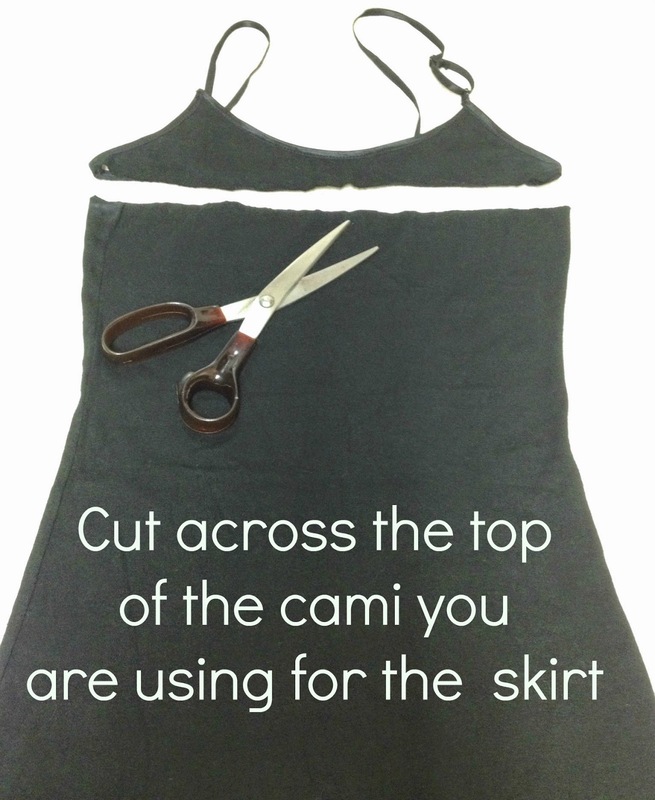 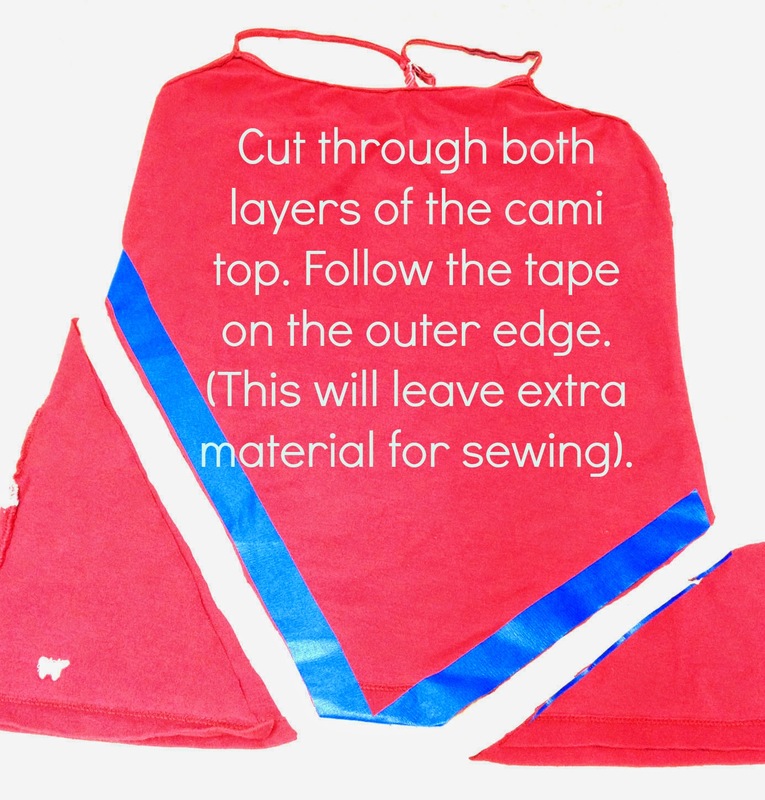 Pull the cami top down over the skirt. 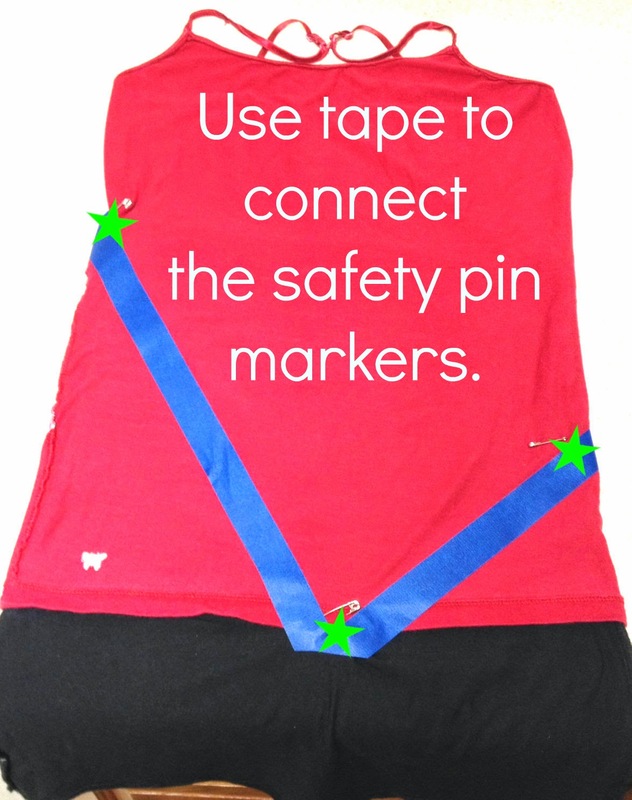 Pin where you see the green stars through both pieces of material (4 pins total). 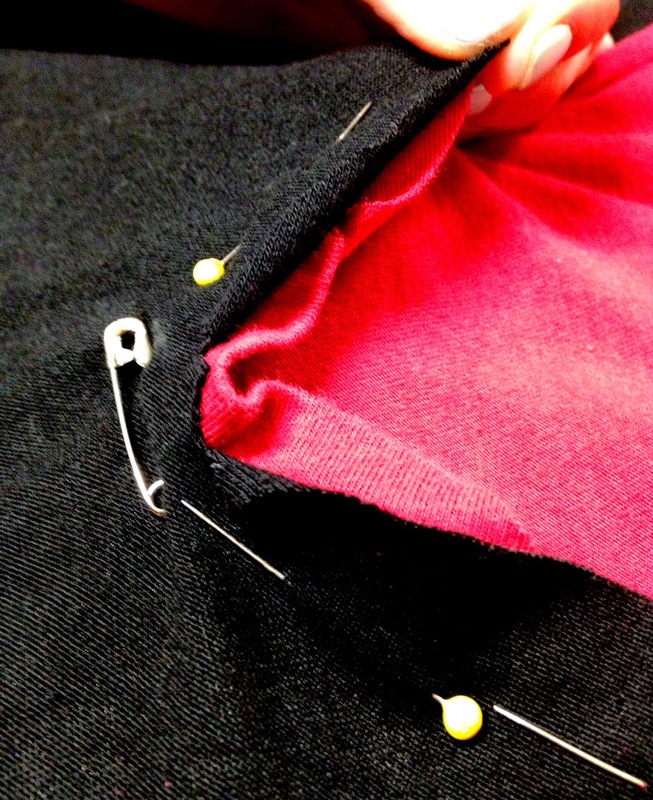 The pin in the back is identical to the bottom front pin. 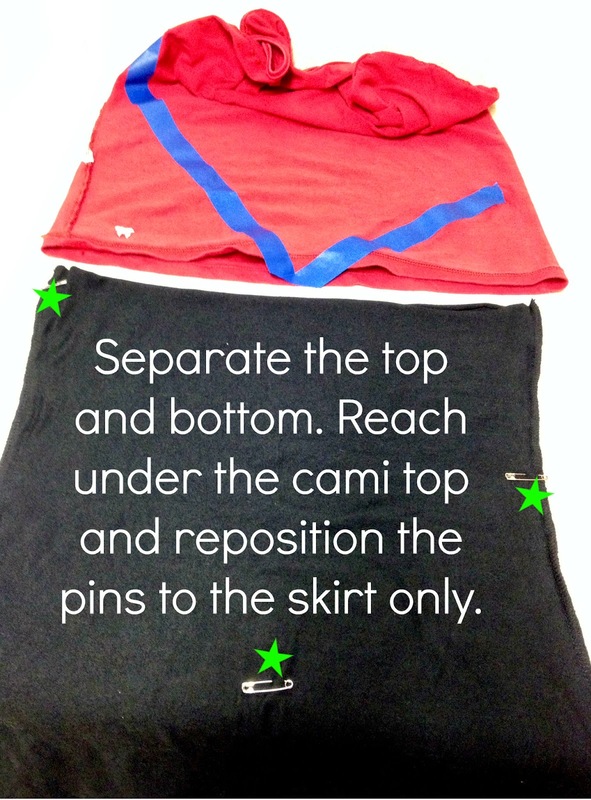 Take the dress off and lay it flat. 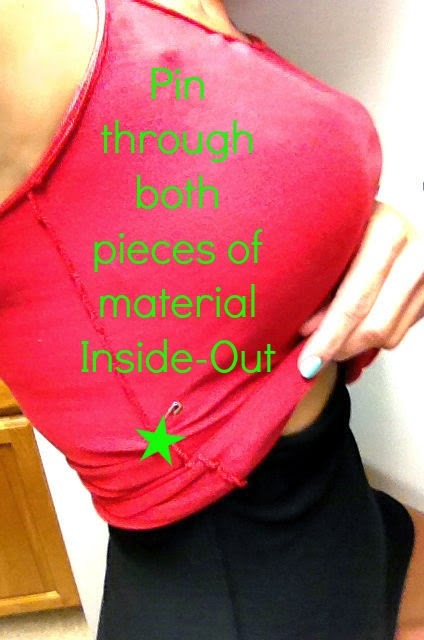 Pin top & bottom together while still inside-out. 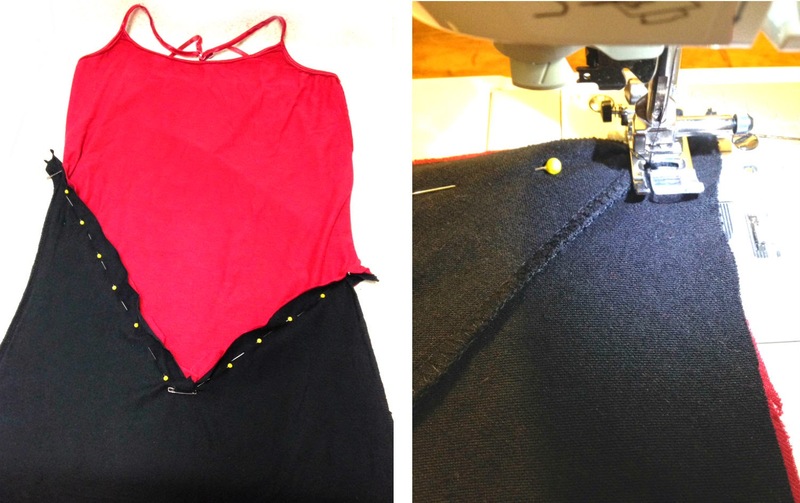 Right sides of material will be touching when pinned.